Chloe Kizer is Associate Director of Written Word Media, the team behind Freebooksy.com and Bargain Booksy. For her ReedsyLive talk on Price Promotions, she was joined by Written Word Media COO, Ferol Vernon. Price promotions are one of the most powerful tools that self-publishing authors can pull out of their marketing toolkit. When we say price promotion, we're talking about what you’re doing when you take advantage of Amazon's KDP countdown deals. It's what you're doing when you price your book at 99 cents or $2.99. In a nutshell, price promotion is dropping your book to a discount price and spreading it around the web at that price. WHY you need to be engaging in price promotions. WHAT prices you should choose depending on your goals. HOW you can set up and publicize your promos. Should #selfpub authors run price promotions? Yes, and here's why. So why should you engage in price promotions? Why does any big company make the decision to discount something? It always goes back to the two big opportunities you get from running a discount sale: a bigger audience and a potential revenue bump. Discounting to bring in new audiences is an old, tried-and-true technique in marketing. It's effective because new readers need a reason to pick up your book over all the others in the market. When it comes to luring in new readers on Amazon, you have your great book description, your professionally-designed book cover — and then, crucially, the price of your book. People are always attracted to a cheap (or free) deal. And by discounting your book, you’re decreasing any barriers to entry to it. Getting new readers will give you an opening to cross-sell other books you’ve written, too: which means more revenue in your future. Your dedicated following in the future always starts with new readers in the present. A free promotion drives people to download your book. So now you’ve got a bunch of people clicking on your free book – and Amazon's algorithm can figure out a better way to feature your book on the site. This is what we call the Also Boughts. The Also-Boughts is the section on an Amazon page that says, "Customers who bought this item also bought <title of book>." Unless people actually buy your book, you can't show up in that section. But once you run a free promotion and you get people downloading your book, one of the most important things to occur is that you teach Amazon to recommend your book. The side-effect of attracting a big audience through your free promotion is a much bigger chance of getting reviews – always the best parting gift from a new reader. And, remember: people trust word-of-mouth above all when they’re picking their next book to read. How should you price your book if you want to build your audience? Free is the most effective technique when you’re trying to gain the biggest audience. It’s also the most effective way to get that big spike in new readers when you're just starting out. Of course, the elephant in the room is that no-one goes into this wanting to put their book – this great work that took months and sometimes even years to write – out there for free. But this is exactly why so many brands promote free trials. When you aren't a big enough name, you attract new audiences by offering them deals. It's especially important when you're trying to reach readers for the first time and get that first batch of reviews in. We tend to use a gardening analogy for this. In the early part of your career, you’re planting seeds for your readers, right? Later, you’re picking your tomatoes. That’s when you're gathering the fruits of your earlier work. Your free book is just the same. You're planting the seeds and planning to get more crops (or readers, in your case!) in the future. Of course, gathering your tomatoes is the fun part of this process. . . and now that we’ve talked about building an audience through price promotions, we can turn our attention to the other big thing that price promotions impact: your revenue. Setting your book's price to free means planting the seeds for more readers in the future. Black Friday is every company’s favorite day for a reason! You, too, can take advantage of a promotion to make good profits off 80% off deals. Even if you’re “discounting,” you can discount intelligently to make money. So, what are your pricing options if you want to bump your revenue? Quick, what’s better than a cheeseburger for $1? A book for $1. Free is going to get you the most readers and $2.99 is going to get you the most money when you sell books. But 99 cents is a nice sweet spot in the middle. You're still going to draw in readers if you make your book 99 cents – and you're going to make a profit on each sale because your book's not free. #BookPromotion question: What’s better than a $1 cheeseburger? A 99c book! You've sown your seeds and gained a readership. What now? Go for $2.99. It’s a great price point for this point in your career when your readership is dependably purchasing your books. And Amazon starts working in your favor when you start pricing your books at $2.99. This is because Amazon’s royalty rates switch at $2.99. When a book is priced below $2.99, the author earns 35% of every sale. when a book is priced at $2.99 or above, you get 70% of every sale. That's some pretty simple math, right? You sell one book at $2.99 or above and you're going to get a bigger chunk of the proceeds. When you gain enough readers interested in paying for your book, $2.99 is the discount price point to consider. So far, we’ve covered the three basic price points for a price promotion: free, 99 cents, and $2.99. Now it’s time to get a bit more creative and combine all three into clever strategies that’ll give you more bang for your buck. Writing a series? If so, you can easily build a tiered pricing strategy to turn new readers into fans. All you need to do is make only the first book in your series free. Then price the second book in your series at 99 cents, the third book at $2.99, the fourth book at $2.99 – so on and so forth. Simply put, that first free book in your series is your cookie up your sleeve. Your new readers will grab the free cookie – then go on and purchase the rest of your series when they want to find out what comes next. This way, you’re constantly building a bigger reader base through your free book and you’re getting that reader base to progressively buy the rest of your series at those more expensive price points. You should never stop writing – and promoting. 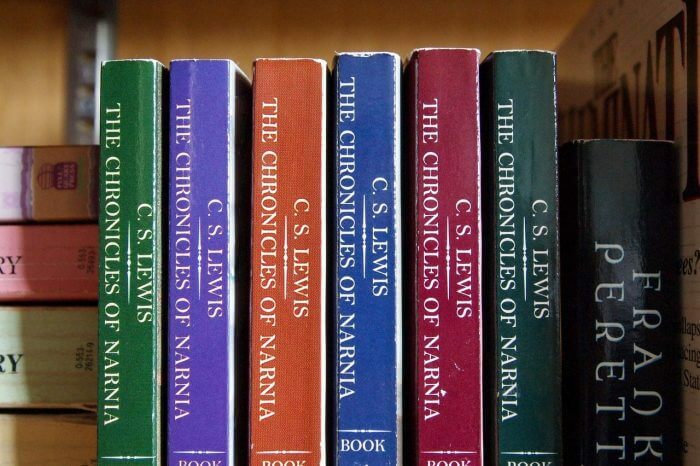 The best times come once you’ve got a few books under your belt. Then you can keep promoting your titles in a cyclical manner, discounting one book one month – then the next the other month. That way you’re always getting a variety of your books out in front of new readers. price your book normally at 99 cents. use your KDP Dashboard to run a free promotion. run a promotion with a site such as Freebooksy, which drives readers to your book and shoot it up the charts. So now not only will people check out your book, but Amazon’s algorithms will know more about your book as well because of it – and your free promotion period ends up transforming into great sales down the road. Now you know why you should run a free promotion for your book. How to actually do so now? It’s not as straightforward as you might think – but with these tricks up your sleeve, you’ll be running your first price promotion in no time. 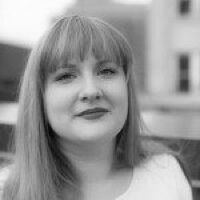 Great book promotion tips from@WrittenWordM! Start attracting more readers today. Kindle Direct Publishing, or KDP, is Amazon’s platform for authors to upload their book. Anybody can publish using it and receive a standard set of royalties for every book sold. Enrolling in KDP Select is the simplest way to run a free promotion. This is their “plus-one” platform where authors get additional perks by going “exclusive” (they don’t sell on other online stores for 90 days) with Amazon. And most of those additional perks come in ways you can price your book, specifically for promotions. For every quarter you're enrolled in KDP Select, you get five “free” days. This is the service many people use to temporarily set their books to free. You also get access to Kindle countdown deals, which are special ways to discount your book for a short period of time. 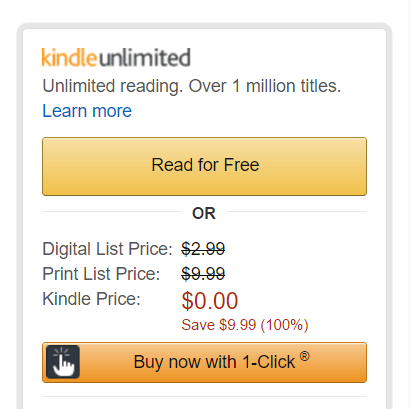 If you don’t want to go “exclusive” with them, Amazon won’t make it easy to set your book at free. Loopholes exist for a reason, though – and there’s one in particular you can exploit. Because Amazon is always willing to match competing platforms’ prices, you can get them to permanently “price-match” your book to free. The way to get Amazon to “price-match,” you need to put your book across multiple platforms so that Amazon is the only retailer that's charging money for your title. You can use Barnes and Noble’s Nook, Kobo, and iBooks — all of them will allow you to set your book's price to zero. Then contact Amazon Customer Service and say, "Hey, I want to report that this title is cheaper somewhere else." It might take a while, but most of the time they will respond within a week and tell you they’ve now priced your title back down to free. What's the point in reducing your book's price if nobody knows about it? Aside from blasting it on social media, there are a few way common to publicize your promotion. Just making your book free on Amazon isn’t enough. You want to make sure people know that your book is free and that now is their once-in-a-lifetime opportunity to go and grab it. One of the most effective ways to do this is by, simply, emailing everyone you know. That’s right. Even that kid with the toothy smile you met at camp twenty years ago. Sometimes, in order to get your book in front of new readers, you’ll want to use something called a renting list, instead. When people use a renting list, that means they’re buying a promotion from a place like Freebooksy or Bargainbooksy. These sites boast enormous built-in audiences – and new readers who are looking for the next great free read. Once you’ve signed up with their service, they’ll alert everyone on their big email lists that your book is free and ready to read! Now, it’s up to you to put your book out there and get it the big following it deserves! Have you tried one of these strategies before? Is there anything else you’re wondering about price promotions? Let us know in the comments below!